Mana Bearing Supplies has a reputation for outstanding product knowledge, quality products and customer service and are the only specialist bearing company in the Wellington area. We can help with all your requirements from the smallest to the largest of bearings and associated products. Farrell Bearings Limited was first established in 1929 as an Industrial bearing supply company based in Hamilton New Zealand. The company has seen many changes since its inception and has grown to be one of the leading bearing supply companies in the north island. Hamilton Head Office - Click to Find us In 2007 in addition to our traditional store we offered the first New Zealand based online bearing store. Farrell Bearings Limited represents a range of manufacturers including FAG, TIMKEN, NSK, NIS and PBI among others and maintains a large inventory including ball bearings, roller bearings, rod ends, housings, oil seals, loctite, bronze bushes, and circlips. Bearing Wholesale Ltd supply ball and roller bearings, wheel bearing kits, chain, sprockets, pulleys, automotive and industrial vee belts, oil seals, o rings, bushes, lubricants and much more to various industries in Auckland & New Zealand wide. 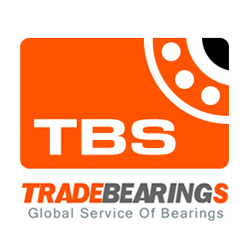 Bearing Supplies has been trading for 35 years and is a leading distributor and importer of Nachi and FAG bearings, also handling a number of well-known brands including NTN, Koyo, NSK , IKO, INA, RHP and Timken plus many more in an endeavor to meet the complete requirements of the New Zealand market. Auckland Bearing Distributors Ltd was established in 1977. Since then we have grown from a distributor of Nachi brand bearings to incorporate a wide variety of well known agencies and cover manufacturing, engineering and automotive customers. Our staff have over 250 years combined experience in providing expert bearing and power transmission solutions. We are still proudly 100 percent New Zealand owned and operated. We believe in offering the right solution for your problems regardless of brand. Whether you want performance, price or a specific feature set we can recommend and supply to match your requirements. We recommend and supply Nachi, NSK, HCH, KOYO, FAG, TIMKEN bearings, NAK oil seals and many other world renowned brands. We are New Zealand\'s exclusive agents of high performance KRYTOX lubricants.